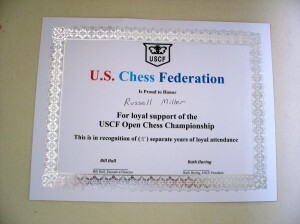 You too can get a certificate from the United States Chess Federation and the US Open Committee. 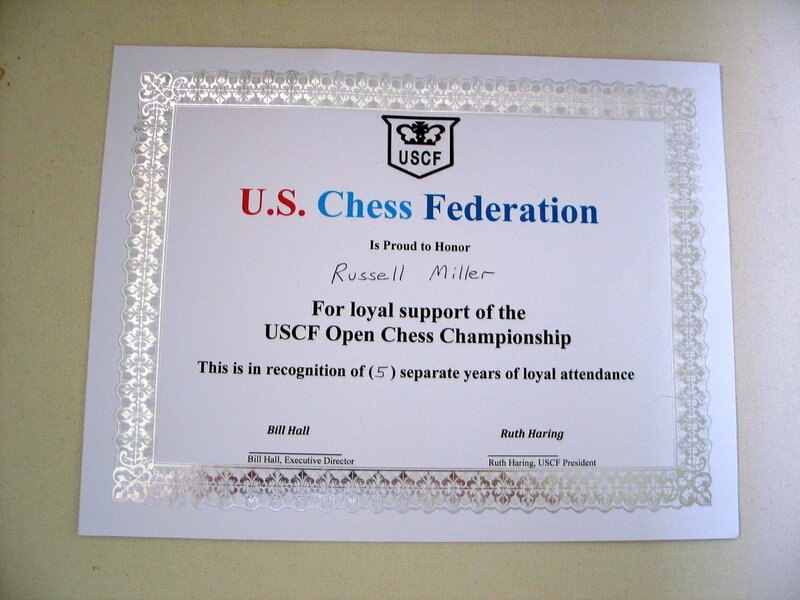 Just play in 5 US Open Chess Championships. The one in 2012 was in Vancouver Washington and 2013 is in Madison WI. Previous Previous post: One my 96 Photos from 113th US Open.